Not to mention the dark blue is a tad hard to read, it may look nice on a white bg in the text editor, but maybe switch to a lighter blue for the dark technicforums background color? I'm not gonna lie. I was NOT impressed with this server. The spawn seems kind of dinky. When you first spawn your in front of a wall with a link to their site, which oh so conveniently has donations. When someone asked a question about donations, the admin who was on at the time quickly responded. However when I asked twice about a simple question regarding the server, I was just ignored, overlooked. While I very well may be wrong, at first glance it seems like this server is in it for the money and not the players. Everyone's entitled to their own opinion and that's just what I was led to believe while on their server. I believe a server needs to have respect for the players and communicate effectively. Sure they are busy making spawn and adding stuff etc, but its not gonna kill ya to ask a simple question. If you just ignore everyone they will get the impression you don't care and just leave. While there a very few technic legends servers right now, if you want to stay on top you are gonna need to up your game in my opinion. Best of luck with your server, and I honestly do hope its able to improve! Just released new spawn, Way less laggier than old spawn. Sorry to anyone that lagged like hell when joining, hopefully it shouldnt happen now. This server is still up and running, and we will have a new spawn by christmas. I am aware of the crashes and I do apologize for this issue, we did not have enough ram. I am in the process of transferring us to a server with more ram, the ip will stay soiherduleik2dig.com so make sure you are using that one and not our numerical ip(one with numbers) , I will update this as soon as it gets up and running on our new higher ram plan, and hopefully that should take care of the constant crashes. I have been busy with college and work and havent much time to look into this as I probably should have, and I really do apologize and hope you continue to enjoy it when its back. Please do let me know if you have any more questions or concerns, I am more than happy to provide an answer. We are now back in action,Server is back up on the ip listed in the post! If you have any more issues please let me know! 184.75.235.213:20000 is our new ip! Sorry if you werent able to join, if you have any more issues please let me know. I kind of picked a few of these plugins to use on my server and found one of them made worldedit unusable. Not sure which yet, but I'll post when I find out. Nvm, It seems it might be something else with my server. Although after removing all the ones I added from your zip it still doesnt work...weird. Maybe one of your fixed mods or something did it? I copied those over too. Also, so you wont be doing hexxit 2.0 or whatever the new one coming out is? The current banned items are item router, explosives, and whatever else I found most servers banned, such as dimension doors. If im missing anything crucial that could potentially screw up the server please let me know as I am VERY inexperienced in big dig! This server just opened publicly a few days ago, and the spawn is not the best right now. I am mainly looking for some experienced players to get on and help by providing info. The server is sort of in beta phase I guess, not fully finished, but figured I would let some people on at first to see what items people abuse and if the server can handle the players etc. I know its currently not the best and will improve with due time. Why is dimensional doors usually removeD? Crashes server? Buggy? Just lag? I kind of forgot. Let's test the next Hexxit! v2.0.1 beta is live! Like couple days, weeks, months? you mean SSP to SMP? No, doesn't offer that capability. And Im prb just gon ban that water thing. Oh boy. Well. I guess I can just wait and figure out by players complaining rofl, but like I know that some tropicraft water thing can make a corrupt chunk and crash the server, Which ones are that serious and which ones are just claimbypasses and dupes, I can probably figure out the others along the way.. I heard qcraft could be used to transfer items from SMP to MP, is that true? How long you expect it to stay in beta before and official release? Legend gear gone and starstone nooooo my favorites. What items are usually banned on bteam, was gon make a server of it but I need to know the items to ban. Will check it out when I get home, I added the ip to my game but had to go to work (I am on the breakroom computer). Alright, Hope you enjoy it. If you have any issues let me know. On this server our Number one goal is to provide you the best hexxit experience possible, I am not running this server to profit, I am running it to give users who wish to play hexxit online and/or with friends the opportunity to do so. Suggestions are always welcome. We will take all ideas into great consideration! We also have donor ranks for those too lazy to go get stuff themselves willing to help out the server, but these are not mandatory and you are still able to get cool stuff without it, this is hexxit after all. If this isnt the server for you we completely understand and apologize that this isnt what you are looking for! 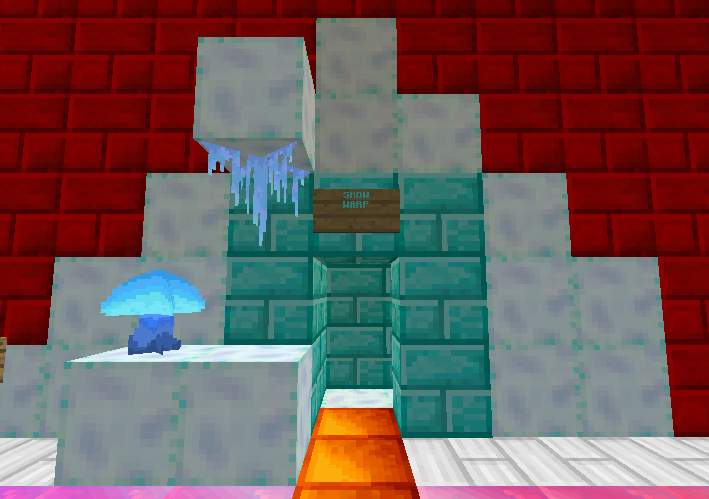 I will admit we are still working on a new spawn, and because of that, a shop is not yet in place. Any questions? Post below or add me on skype: Crystacune , thanks! Thanks for checking us out, see you on the server! 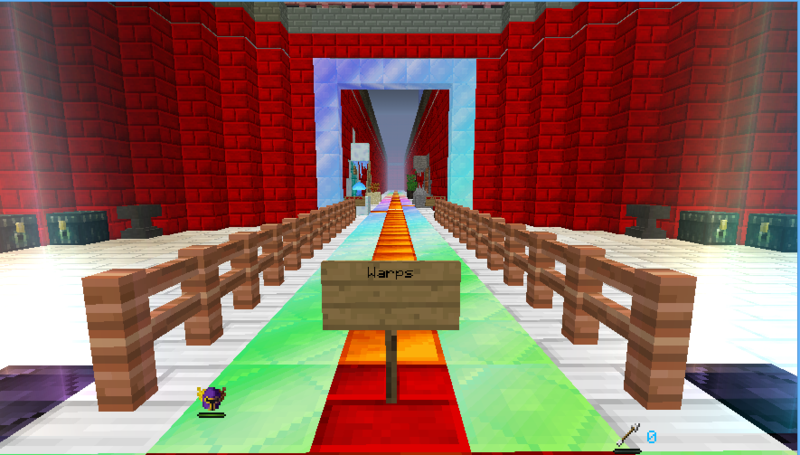 The Solar Society hexxit server has currently been up for 2 & 1/2months. Only mod removed is the dimensional doors mod for lag issues. Click below for banned items. The server is up most of the time, assuming that it doesnt crash because of hexxit, Which occasionally happens, but usually its back up soon, and it does not happen often. no bukkit or plugins just straight up vanilla hexxit? Yeah, if you have the levels for it. Is there a way to patch the frezarite enchant glitch? 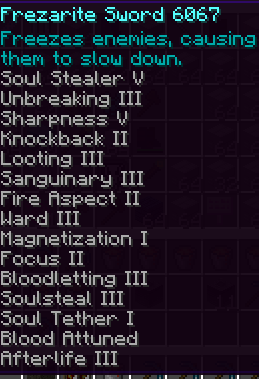 I reverted to the vanilla enchantment table but people mad cause they cant repair stuff. Should I just ban frez stuff or idk.. Im hopin theres a fix.